Hey everyone! 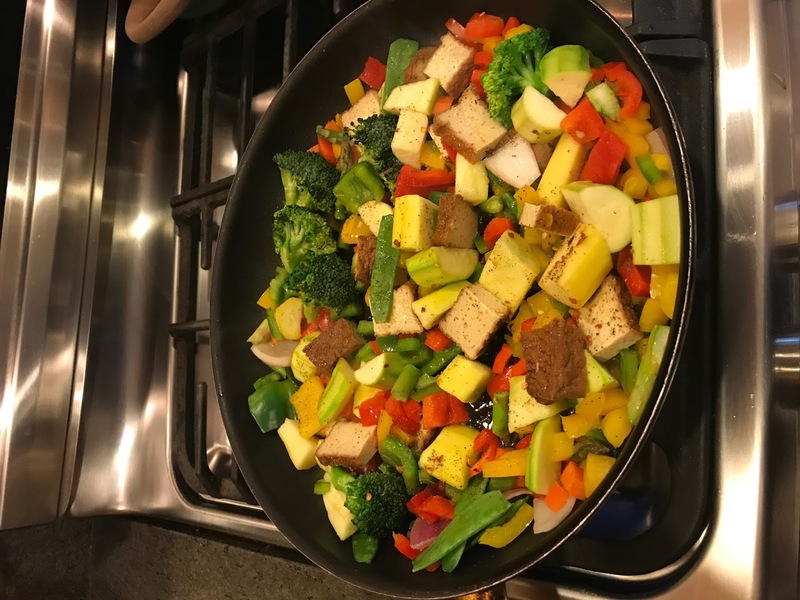 I've talked before about how I've always wanted to try being vegetarian to see if I would feel better and overall to see if I could go for awhile without eating beef, pork, chicken, and other meat products. I'm Catholic, so this lent season I decided to go vegetarian (with the exception of fish) for the religious season. I managed to not eat meat for the entirety except for when I was in Portugal an ate some prosciutto (it was so good there). 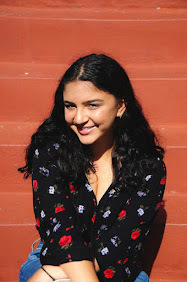 With having less meat in my diet, my skin cleared up so much and I was less bloated. On days where I ate a lot of vegetables, I felt overall better than days where I just ate carbs (bread, cheese, etc). It's very easy to become one of those vegetarians who only eat bread, so I pushed myself to actually make meals for myself. I ate sushi during school if I felt lightheaded from lack of calories, but I did feel better for the most part. It's been a few weeks now, and I don't really crave chicken or beef. I don't know if I'll continue a strict pescatarian/vegetarian diet, but I feel in the future I am still going to limit my meat intake. On that note, I have been taking photos of some of the meals I've been eating/making. When my cousin, Alessia, visited me last month; she showed me how to make this. She is vegan, and for one night her and I decided to cook dinner together. I made this same recipe for my parents last night. I bought a packaged mix of vegetables and a container of chopped peppers. I also bought a teriyaki tofu cutlet. I cooked all of this in a pan with oil. At the same time, I was boiling pasta and cooking tomato sauce on the other two burners. Usually, I would cook the tomato sauce with the vegetables, but since the sauce was not from a jar; it had to be cooked from scratch in another pot. When finished, I put the pasta in my bowl first and then add the sauce with vegetables. 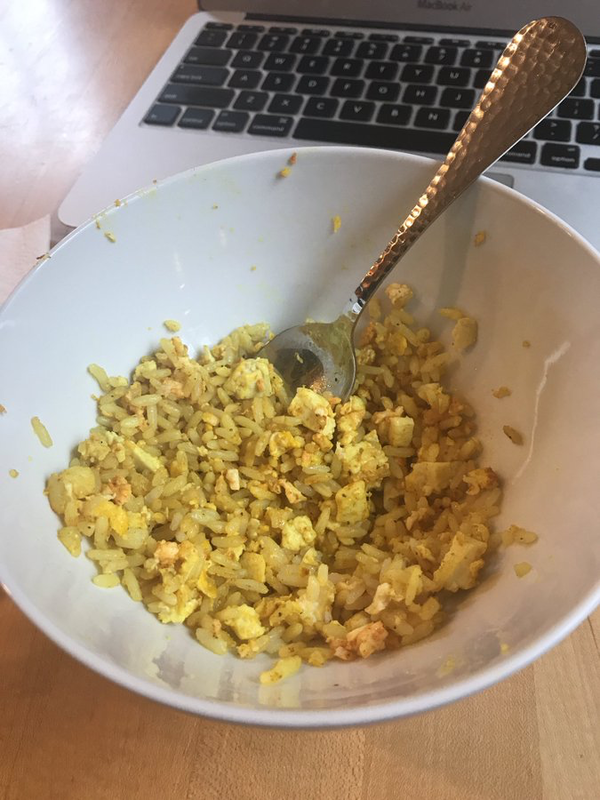 To keep it vegan: put nutritional yeast and turmeric on top. To keep it vegetarian: put cheese on top of the dish. I don't have any photos of the copious amounts of bagels I've consumed in the last month, but trust me it's been a lot. I usually eat everything bagels with either smart balance butter (vegan!) or cream cheese (still pretty yummy), but I decided to try this brand of vegan cream cheese an I give it a 5/5. I recommend trying it. A few of friends are lactose intolerant, but love cream cheese; so I'm going to make them try this. I've eaten this meal almost every day of spring break when I've been home. It's very simple to make and I find it delicious paired with hot sauce. I make a pot of white rice to eat throughout the week, and it comes in handy when I want an easy meal. All you have to do is fry an egg, and then scramble it and add it to rice. I also add nutritional yeast to the meal, and sometimes I will either add tofu or substitute the egg with it. These look good! I'm not a vegetarian but I would like to try it out to see if I prefer it. I'll definitely try the first meal sometime soon! Congratulations on going vegetarian! 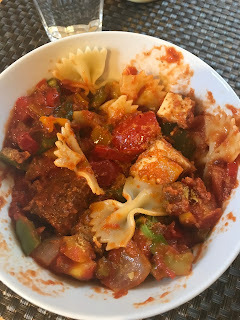 Your pasta primavera in tomato sauce with tofu looks and sounds delicious! 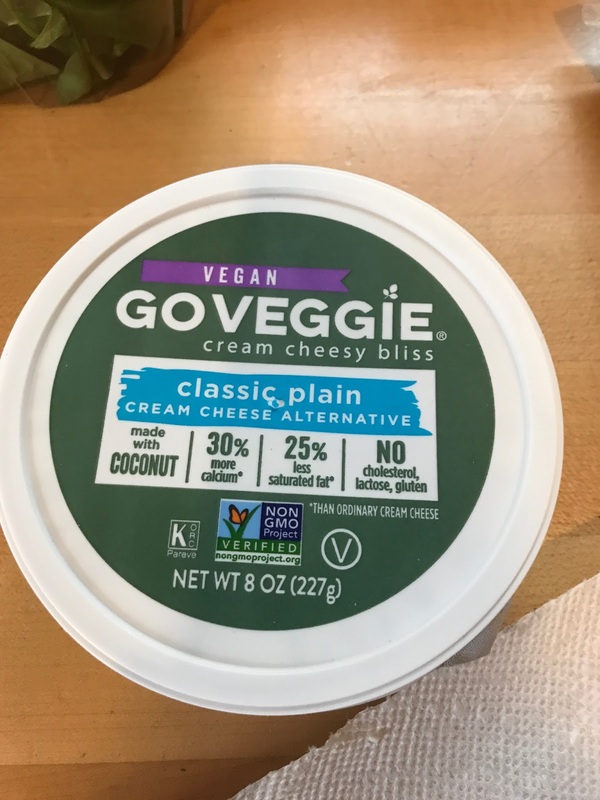 I'll have to try that vegan cream cheese. 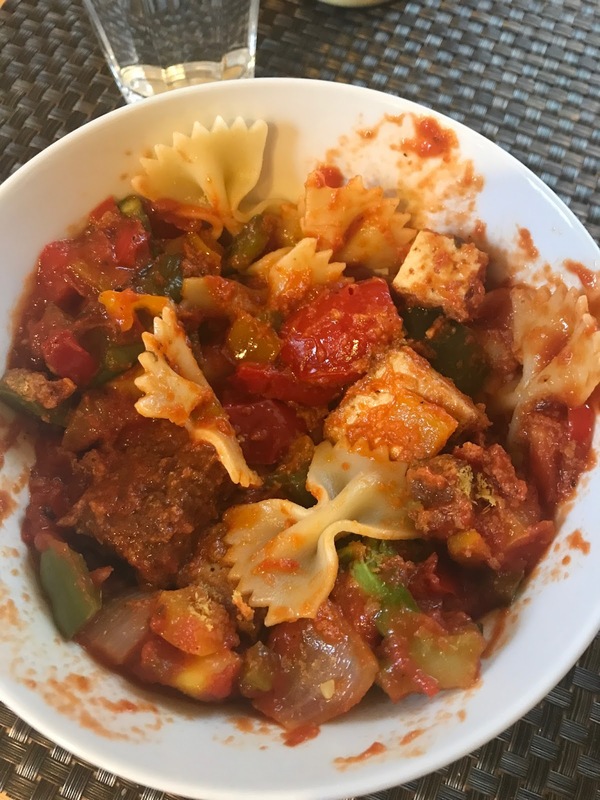 I'm an ovo-lacto vegetarian but am extremely lazy, so I wind up eating a lot of microwaved frozen meals by Amy's Kitchen that I get at the supermarket along with eating more natural peanut butter, fresh fruit (including bananas) and adding tofu to some veggie dishes. If I wasn't so lazy I'd make felafel, vegetarian chili, pasta fagioli and try cooking more of the meals that Sarah posts photos of and recipes for on her blog: Long Island Vegan.